Castlekeeran graveyard sits at the S end of Castlekeeran Civil Parish which covers part of counties Cavan and Meath. 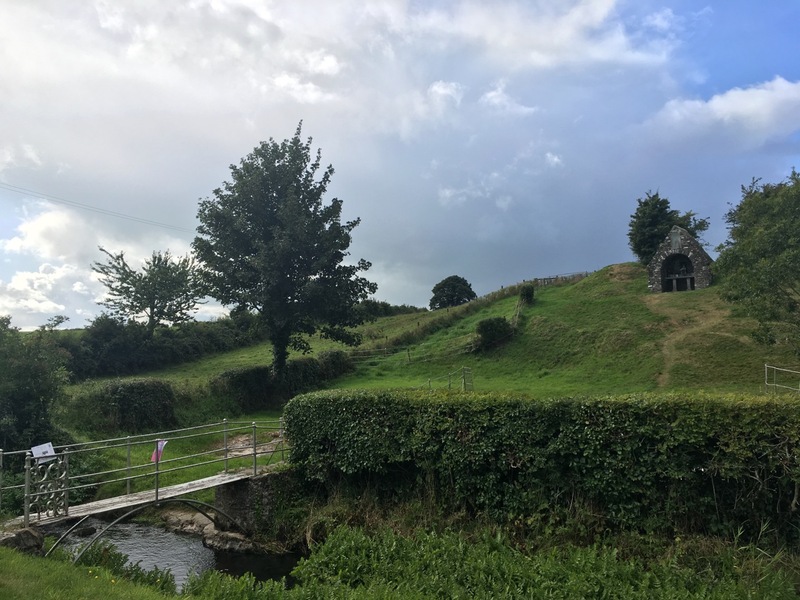 The townland of Castlekeeran Is located in Co. Meath and even though cut by a main road (the N3 leading N to Virginia) and an old railway line, a medieval monastic landscape is here preserved. Alongside the Blackwater River, the graveyard sits in the bend of a stream which flows into the Blackwater. Three hundred metres to the SW, on the side of this stream sit St Kieran’s Wells, still a place of pilgrimage and a key element of the living heritage of Co. Meath. Indeed the stream itself springs from a number of boggy fields in the townland, one prominent spring slightly further away being the Well of the Young, Tobarnanóga, in Drumbaragh townland. (http://bit.ly/2TfAlnR). The graveyard itself measures approx 60m E-W x 40 m and is enclosed by a rectilinear stone-faced earthen bank. This rectangular enclosure is, no doubt, a later enclosing element while the curve of the stream to the N & W and a fragment of curving field boundary to the S may indicate the nature and extent of an Early Medieval enclosure (http://bit.ly/2Tf9Xum). 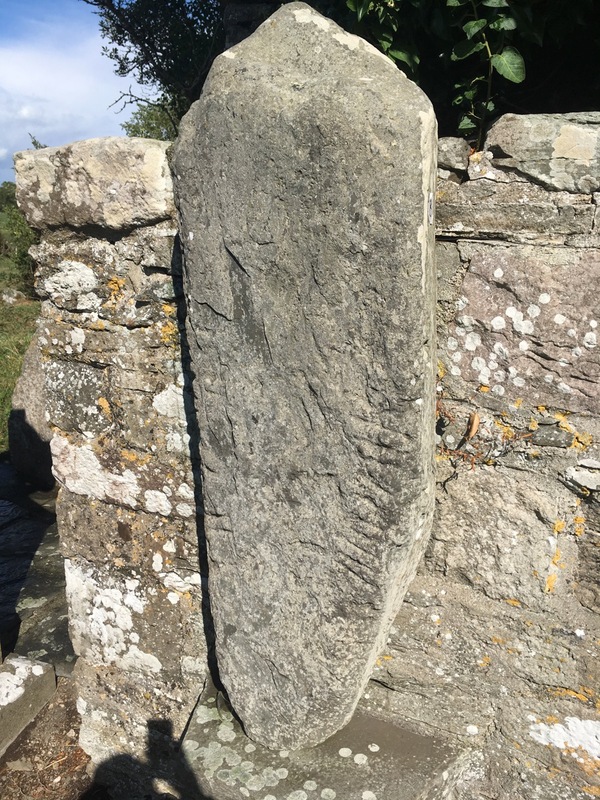 The late 1800s 25 inch Ordnance Survey map shows a high cross socket stone on the N side of the River Blackwater and this appears to have been moved back into the graveyard itself. Joining three other, standing, high crosses. The scale and simplicity of these High Crosses are a pleasure to behold. 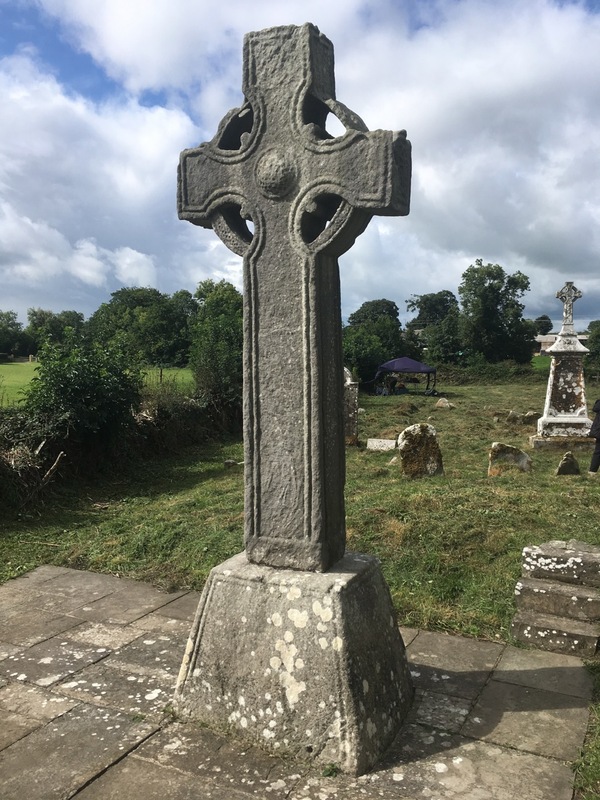 The interior of the graveyard has a fine collection of late 18th and 19th century headstones as well as an Early Medieval Ogham stone, the later High Crosses and fragments. The Medieval Church is in ruins and a burial vault, which may have been attached to the church or built with its entrance inside the ruined church, is accessible, containing a mix of bones which appear to consist of human and animal bones. These vaults often contain an admixture of human bones encountered during gravedigging elsewhere in the graveyard. W ehave not worked out whose vault this was but it must have been some high status family. The northern section of Irish graveyards is usually sparsely occupied - we prefer to be buried S of the medieval church. But here in Castlekeeran there is an unusual collection of mounds and ridges which appear to be grave-related, although the date of these ridges is difficult to estimate. At a guess I wonder are they early modern/19th century? The Castlekeeran Graveyard Committee are very actively engaged with their local heritage. This year we have been asking our partner groups what their main interests and concerns are relating to the graveyards and this group are prioritising the care and conservation of the graveyard. The probable 19th century boundary has degraded and needs some TLC and hedge replanting. They also have an unusual problem with some kind of bilberry or ground cover plant with thick gnarley roots spreading to occuppy about 10% of the interior. 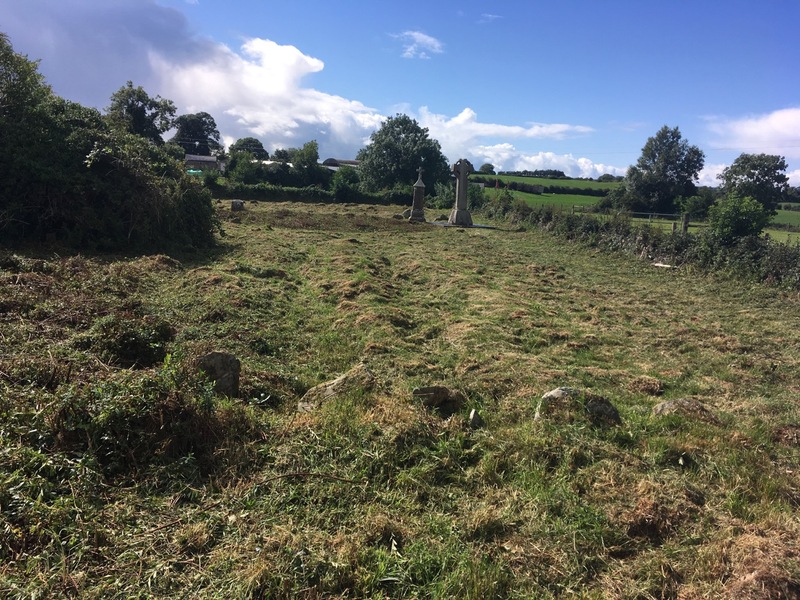 This project was part-funded by Meath County Council and forms part of the Historic Graves Project’s engagement with Heritage Week and the European Year of Cultural Heritage.